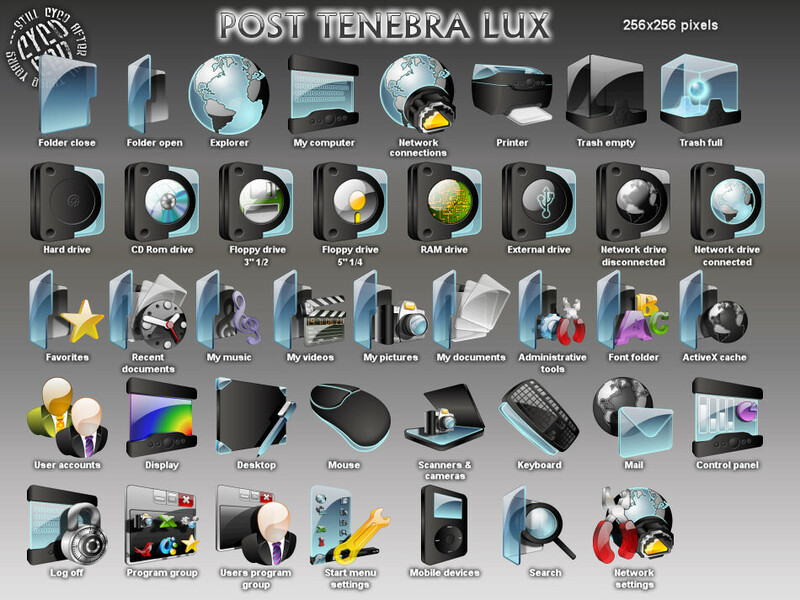 WinCustomize: Explore : ObjectDock : Post Tenebra Lux O.D. Dock icons from the Post Tenebra Lux IP set (except for the file types). Not all files in the zip are shown in the preview (around 56 icons available). Great icons...very original...heading over to get the IP pack, Thank You !~! Hey Aroche, thank you my man! And thank you all for the nice comments. Keep it up! Make a LimeWire! Incredible! Any chance of making some of the missing Adobe icons like "SWF" and "FLA"?